Punjab Information Technology Board (PITB) in collaboration with Punjab Police has introduced the digital system in all police stations across Punjab. 712 police stations in total are digitized under this initiative. 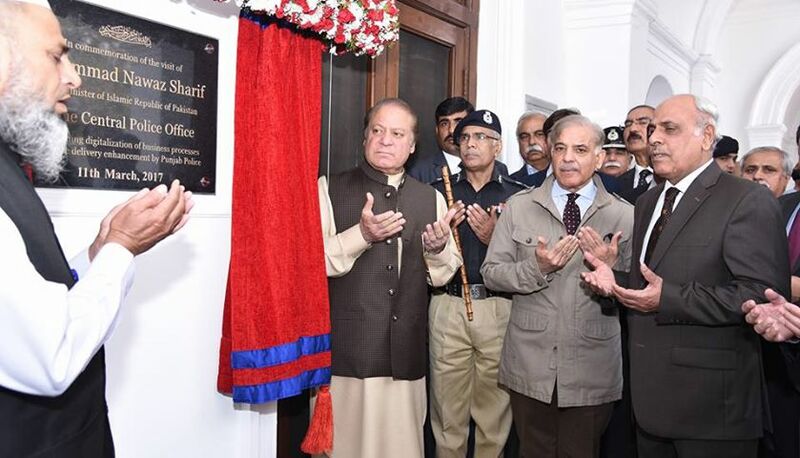 Prime Minister Mian Muhammad Nawaz Sharif, Chief Minister Punjab Shahbaz Sharif, IG Punjab and other officials were present at the inauguration ceremony of the digital system at Central Police Office in Lahore. Registering FIR’s and complaints was a difficult task for the citizens of Pakistan whenever they have to visit a Police Station. The manual record keeping of FIR, Criminals Database and other operational and administrative activities were tiresome, time-consuming and were liable to human errors. The security of data was also at stake concern as it could be accessed by others. Modern Criminal Record Offices have been set up in all 36 districts of Punjab with the help of an automated system. “Criminal Record Management System (CRMS)” meant for criminal record management and identification of criminals by using biometrics, physical appearance and previous crime history. The system is integrated with Tenant Registration System and Hotel Eye, as a result of which tenants and guests of hotels having a criminal record can be identified all over Punjab. Prime Minster and Chief Minister of Punjab appreciated the efforts of PITB and Punjab Police towards digitization. They also advised other provinces to imitate similar technological initiatives in their respective provinces.